Black Friday and Cyber Monday fall on the 23rd and 26th of November 2018 with most retailers offering discounts on popular products. It has become a prime opportunity for shoppers to grab a bargain in the lead up to Christmas. While Black Friday and Cyber Monday began as a shopping phenomenon in the United States, it is now the biggest shopping event of the year worldwide. However, with so much online shopping activity, it has become a prime opportunity for scammers and cyber criminals to take advantage of unsuspecting shoppers. As the cyber security thought leader and owner of MetaCompliance, Robert O’Brien explains; "from a hacker's perspective, Black Friday is the consumer equivalent of a watering hole in the Serengeti Desert. The event brings all the prey together”. Cyber criminals look to scam you out of your cash, find your credit card and bank card details, while they also look for personal information which they can sell on the dark web. As Wurkhouse have developed many ecommerce stores for clients who sell worldwide, we have come up with a quick guide on how to stay safe while shopping online during the Black Friday and Cyber Monday period. SSL certificates help to protect against credit card fraud. It is essentially an encryption protocol making it difficult for cyber criminals to capture payment card details. 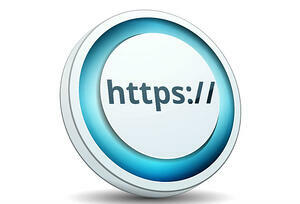 If you land on an unfamiliar website it is essential that you check if that online store has a valid SSL. Websites with SSL certificates have a “https” prefix on the website address. A padlock icon before the website address on your browser is another sign of site security, indicating that the web page uses the SSL protocol. When browsing on Chrome or Firefox, you can click on the padlock and it will provide information on the website identification and security status. One method that cyber criminals use to steal credit card details is to trick unsuspecting customers into believing they are shopping on a reputable website. A website that is often duplicated by cyber criminals is Amazon.com. 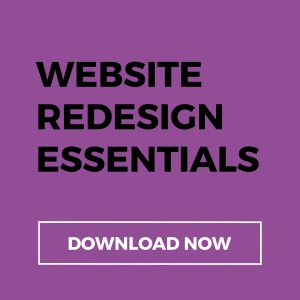 A cloned website may look similar to the original however, when you get to the checkout page, it will look different. This type of page is designed to capture your personal and credit card details. The URL may be one way you can identify a fake website. Fake websites usually have a range of numbers at the start of the URL, or the domain name of the URL is a misspelled domain name of the original. If you find an advertisement containing an offer that is too good to be true, it probably is. If you come across an offer like 90% off the latest tech products, it's likely to be a trick. Cyber criminals act on product demand and on products that are in scarce supply. To take advantage of customers eagerly looking to secure the latest products at the best prices, they create websites that contain a false offer, take your money and you will never receive your order. Legitimate eCommerce stores will have some form of contact details. This is something to look out for on Black Friday or Cyber Monday if you are shopping on a website that you have never been on before. Scam websites usually have no contact information; however, some have no existent addresses or an address that is misspelled. You should also look out for returns information, including an address to send back your items if they are defective. Make sure to check the terms and conditions for returns on sale items as some companies don't accept returns on sale items. With so much temptation to spend money on bargain products and deals, it’s easy to get into debt. Set yourself a budget and try to stick to it the best you can.